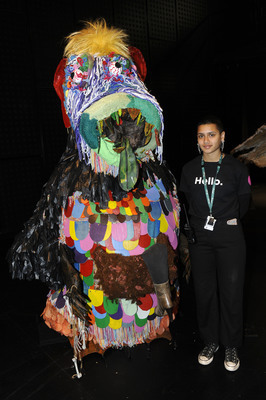 South-eastern Aboriginal communities came together to create Too-roo-dun – a unique family exhibition celebrating the Bunyip at Bunjil Place Studio on Saturday 4 August. 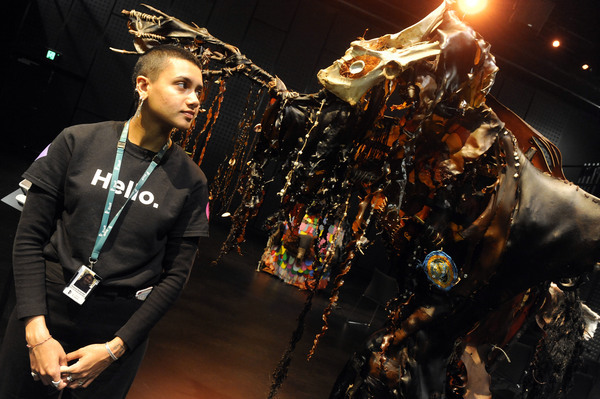 Visitors witnessed a re-imagining of bunyips and their homes with a contemporary interpretation of cultural stories surrounding inner demons and monsters. Too-roo-dun is a Boonwurrung word for bunyip, which is a word from the Wathawurrung language. 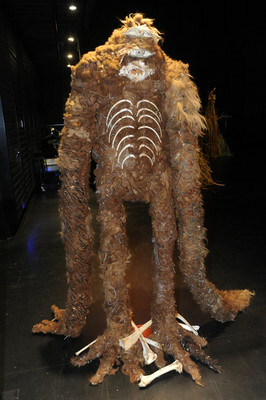 Sometimes quirky and playful, these creatures are made up of kelp, oaten hay, paper bark, alpaca wool, feathers, fibre, seeds, teeth, bones, as well as a combination of traditional and contemporary materials, such as chicken wire, plastic bones, linoleum tiles, and even a re-purposed outdoor umbrella stand. 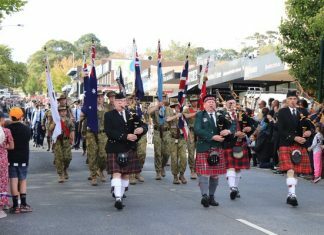 Behind these stories were seven Aboriginal organisations including Winja Ulupna, Healesville Indigenous Community Services Association, Bunjilwarra, Mullum Mullum Aboriginal Cooperative, Willum Warrain, Casey-Elders Yarn & Art Group and Baluk Arts. The exhibition will run until Thursday 16 August. See the Bujil Place website for more details.